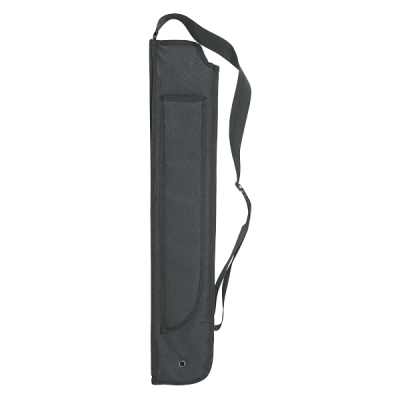 Ideal for Law Enforcement or Military Personnel, the Voodoo Tactical Molle shotgun Scabbard is designed to help you complete your mission. Keep your weapon protected and at the ready with the fully padded "Quick-Draw" scabbard that mounts to your ruck or sling it across your back with the adjustable removable nylon sling. Now you've got backup with the added 18" Machete sheath to keep your blade close and handy. 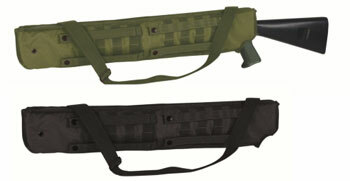 Double Universal Molle straps on the backside side will accommodate right or left handed shooters. We've notched the top so your weapon slides out quickly and easily. 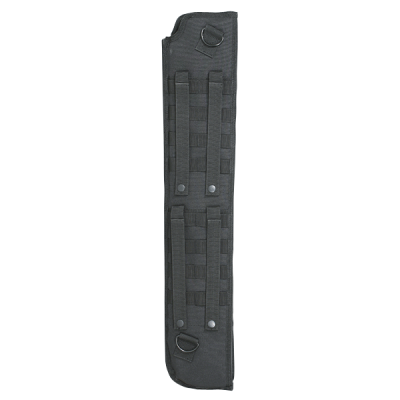 The scabbard is ambidextrous and has MOLLE attachment straps on the back side, allowing you to mount it on your right or left. 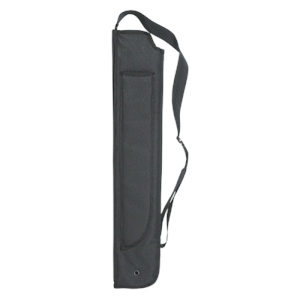 The 29-inch long scabbard is designed to hold the Remington 870 with an 18 inch barrel and will also fit similar sized Benelli, Mossberg and Winchester shotguns. When properly fitted, the trigger should not be exposed. Holds standard 18" Remington 870, Winchester, Mossberg or Benelli shotguns. This scabbard is intended for transporting a weapon, and the chamber should be empty when used with this scabbard. Do no insert, transport, or carry a gun with a loaded chamber in the scabbard. This scabbard is not intended as a long term storage device and does not include any locking or other security mechanisms. Please practice responsible gun handling and observe all safety rules.